Traditionalists went into a tailspin over proposed modifications to the landmark Four Seasons Restaurant, a gastronomic and architectural emblem of New York City housed in the historic Seagram Building. 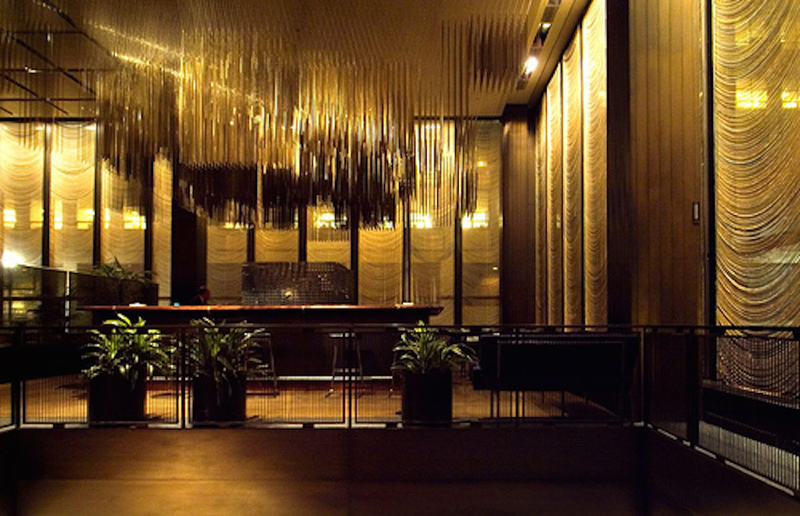 The high-ceilinged enclave, clad with French walnut walls, plays daily host to high society a big business in Midtown Manhattan. The eatery garnered landmark status in 1989 for the building’s architectural prowess. 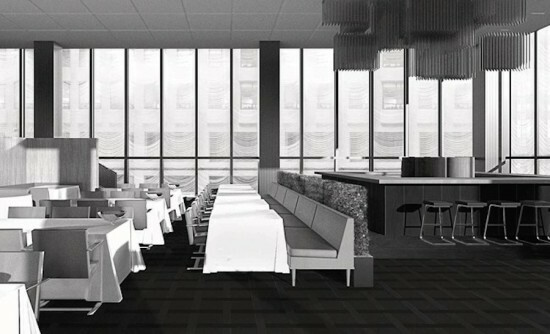 Nevertheless, the New York City Landmark Preservation Commission (LPC) cautions that this designation does not shield the Mies van der Rohe Barcelona chairs, Florence Knoll banquettes, Eero Saarinen cocktail tables, and table settings by L. Garth Huxtable. Building owner and noted art collector Aby Rosen of RFR Holdings recently filed plans to make changes to the restaurant, reportedly without consulting owners Julian Niccolini and Alex von Bidder. 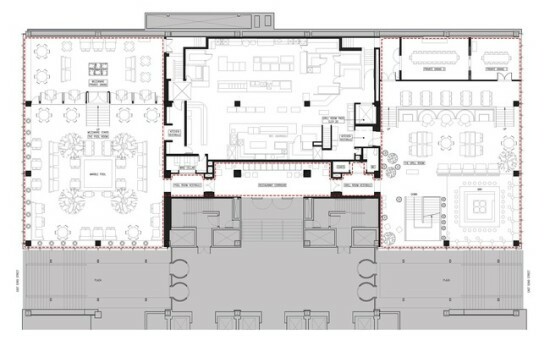 While the LPC approved the proposed new carpeting without qualm, they balked at a removal of the cracked-glass and bronze partitions separating the dining area and bar. 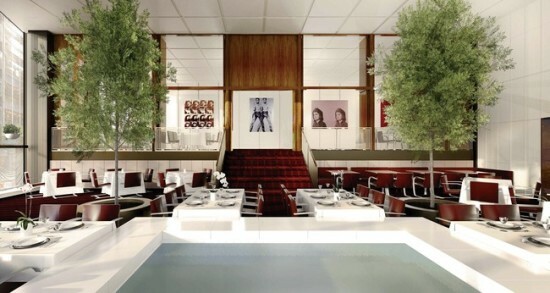 Originally installed by legendary architect Philip Johnson, who designed the space with Ludwig Mies van der Rohe in 1959, the partitions would be replaced by movable ivy planters to open up the space. Selldorf Architects is also considering nixing the large walnut panels separating the square-shaped 60-foot-by-60-foot Pool Room from the dining room on the mezzanine. These will be replaced with five panels, the outer two of which would be operable for reconfiguration of the space. According to Rosen, this would improve the flow between the mezzanine and the Pool Room without the upper tier framing the space. “This landmark is elevated to a level where any kind of intervention would not be living with preservation,” objected LPC Chair Meenakshi Srinivasan. Conservationists bristled last year when Rosen entertained an eviction of the Le Tricorne Picasso tapestry hanging inside the restaurant in order to facilitate reparations to the wall behind it, where a “potentially serious steam leak” from the two-story kitchen had purportedly crippled the structure. 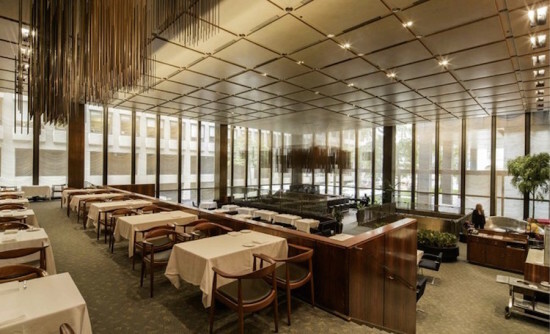 A New York State judge issued an injunction prohibiting Seagram from removing the painting, but Rosen, a real estate developer and avid collector of post-war art, is in conservationists’ crossfire again for daring to alter a landmark. “These are features that are integral to the sense of space. Not just decorative but have architectural meaning and value,” said Commissioner Diana Chapin. Edgar Bronfman Jr., whose family owned Seagram, claimed that RFR’s proposal displays “utter contempt” for the icon. RFR representative Sheldon Werdiger maintains that the changes are restorative rather than invasive. “We’re not making changes as much as we’re restoring. Our local press is trying to make it into a controversial situation,” he told Arch Record.